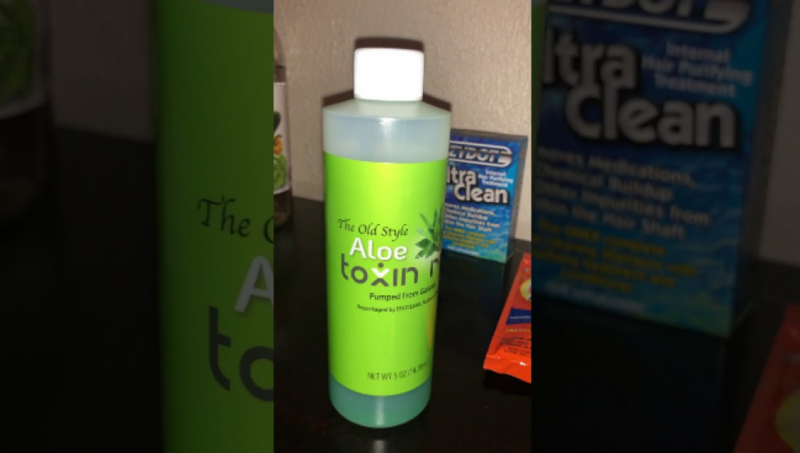 Macujo Method Detox Review: Can You Really Pass A Hair Drug Test? Can the Macujo Hair Detox method really help you pass a hair drug test? Is there real science behind it? Or is this just another urban legend? Welcome to my in-depth review of the Macujo Method, one of the most popular home hair detox remedies for beating a hair follicle drug test. Does the Macujo Method Actually Work? Does the Macujo Method Work for All Drugs? Does the Macujo Method Damage Your Hair? Does the Macujo Method Work for Opiates? Does the Macujo Method Work for Alcohol? Does the Macujo Method Work on Body Hair? How Does the Macujo Method Work? When Should I Do the Macujo Method? How Long Does the Macujo Method Last? How Effective is the Macujo Method? 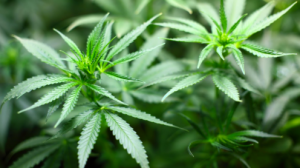 Based on the experiences of people who have used it, the Macujo method is clearly a time-proven way of cleaning traces of marijuana from your hair. That said, it is not foolproof – no method is – it just improves your chance of testing clean. That’s because it’s based on the latest research about how THC metabolites actually get into – and onto – your hair. If you’ve come across the Macujo Method in forums or on weed blogs and are wondering if it will work for you, rest easy. I’ll explain everything you need to know about this detox cleaning regimen including step-by-step instructions on how to do it at home. To learn more about all 4 proven ways to beat hair drug tests, read my in-depth guide on the home page of this site. I also recommend you take my 60-second hair drug test quiz to see if you are likely to pass or fail your upcoming drug test (you don’t need to enter your name or email to take the quiz, it’s totally anonymous). The Macujo method is a hair cleaning regimen – a specific series of cleaning steps using very specific products – that originated on the Marijuana.com forum in the early 2000s. It was first described by a user who claimed he had used it to pass a hair drug test. Since then, thousands of people have posted their own Macujo success stories in weed forums, on social networks and on YouTube. The Macujo method is fairly hard on your hair – your scalp will be feeling raw by the end of it. It’s also a bit pricey, because you have to buy several products, one of which (Aloe Rid Old Formula) is expensive. But for the people who’ve used it, doing the Macujo is worth the pain and cash. On the comments posted on this site, you can see plenty of people swearing by the results. Yes, it clearly does – for many people. Macujo works by using a series of harsh cleaners to first open your hair strands and then deep-clean your hair to get rid of traces of THC metabolites that have been left on it by your sweat glands. 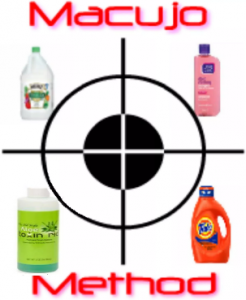 But you have to follow the precise cleaning instructions and use the right products. Even then, there’s no 100% guarantee that you will pass the test. But the Macujo cleaning regimen remains your best bet if you’ve smoked recently and really want to get that job. The Macujo method is primarily for stoners, and most of the evidence about its effectiveness is for THC (the main chemical component in weed). Some people say they have used it for other drugs like cocaine and opiates, but I can’t find much evidence of it working for anything other than weed. No question, the Macujo method is rough on your scalp and hard on your hair. That’s necessary if you are going to get THC traces out. But the Macujo method does not cause permanent damage to your hair. The vinegar, shampoo, and detergent involved will do a number on your scalp. It will feel raw and irritated especially with all the scrubbing you’ll need to do. This is made worse by the fact that you have to repeat the process several times before the day of the test. The Macujo method can also leave your hair feeling dry and frizzy. But as soon as you’ve taken the test (and passed, hopefully), your hair will bounce back quickly. All you need is a good moisturizer and conditioner. As I mentioned, most of the evidence that the Macujo method works are only in regards to removing THC metabolites from hair. I’m just not sure that it will work for opiates such as heroin, codeine, and morphine. You can try it (others do), but I can’t guarantee anything. As with opiates, I cannot guarantee that the Macujo method will get rid of traces of alcohol in your hair. Labs typically take a sample of your hair from the scalp outward for testing, which provides better drug use analysis than body hair. But that doesn’t mean that they can’t take body hair. 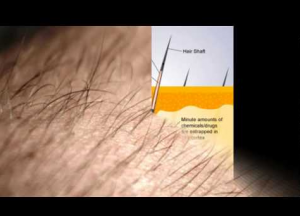 In some cases, such as when your head hair is too short or the employer doesn’t need to know exactly when you took the drug, body hair can be used. If you are worried that the lab tech will sample hair from your body, then yes, you can use the Macujo method on your armpits and legs. It works just as well. But it’s not exactly comfortable to do that. Use the same process you used for your head hair and repeat it the same number of times. The Macujo method relies on a 2-step process to rid your hair of drug metabolites. Note: drug tests for marijuana actually test for a by-product of THC metabolizing in your body, not for THC itself. This metabolite clings to fat cells, which makes it super-hard to remove from your hair without the right chemicals. The first step is opening up your hair follicles uses an acid (vinegar). Then in the next step, the Salicylic acid shampoo and tide detergent further loosen and open your follicles. The final step is using a special shampoo (Aloe Toxin Rid, the old formula of Nexxus Aloe Rid) to remove the THC metabolites from your hair. The process above is repeated once or twice a day each day right up until the day of your test – you have to do the Macujo several times to maximize the effect. Start doing the Macujo at least 5 days before the day of your test. Repeat the Macujo method once or twice a day, every day – including the day before (or even day of) the test. Repeating the process every day ensures that new hair growth is cleansed. Consider doing it twice a day instead of just once. If you’ve been given just a day or two notice, you can still give it a try. Some people have repeated it 3-4 times in a single day and passed the test. Of course, the chances that you’ll pass go down, but it’s better than freaking out and doing nothing. Important: You need to stop smoking weed or taking any other drugs immediately when you are informed of the test. Do not smoke again until you are in the clear. It’s usually a good idea to wait at least a week after the test before you smoke another joint. It is not uncommon for labs to request a re-test for one reason or another. Wait until you’ve heard from your employer or the lab that you’ve passed. If you’d rather watch a video, here’s a 10-minute one explaining what you’ll need and how to clean your hair of THC metabolites using the Macujo method. Heinz vinegar – you can get it online or from a local store. Aloe Toxin Rid shampoo. This is the older formula of Aloe Rid with a higher level of propylene glycol content. Beware buying fake shampoos from Amazon and eBay. The best place to get it is TestClear.com. It’s a bit pricey because it’s hard to come by, but it’s the only one that works. 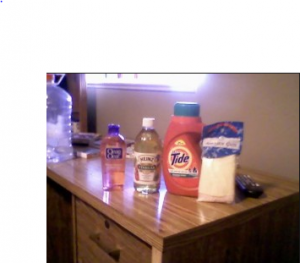 Tide detergent – easily available in most stores. Salicylic acid shampoo. Use Clean and Clear pink or Neutrogena T/Sal. At least a dozen shower caps. You’ll need that many since you cannot reuse them to avoid re-contamination. Goggles to protect your eyes. Rubber gloves to protect your hands. Buy all the ingredients and have them ready in your bathroom. You’ll want to use a large, deep sink for this. There will be a lot of scrubbing and rinsing going on. Here are the step-by-step directions. Put on the goggles and gloves. Wet your hair with warm water. Pour Heinz vinegar on your head, making sure it has spread everywhere. If you have thick hair, work the vinegar deep into your scalp. The vinegar will burn especially if you have a sensitive scalp. Do not rinse. Take the Salicylic acid shampoo and squeeze a generous dollop into your hand. Then massage it into your hair and scalp. 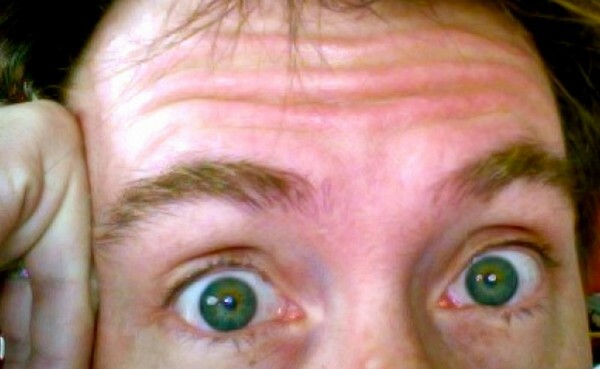 Also scrub it on the skin surrounding your hair including the eyebrows, forehead, and ears. The shampoo combined with the vinegar will burn quite a bit. Put on one of the shower caps and leave the shampoo and vinegar in your hair to rest for half an hour. Have a wet towel with you to wipe away any shampoo that trickles down your face. After 30 minutes, remove the shower cap and rinse your hair thoroughly using warm water. Wash your hair with the Aloe Toxin Rid shampoo. Make sure you are using the old formula. Scrub it deep into your hair and scalp then rinse. Wash and rinse a second time. Use a small amount of time to wash your hair one last time. Then rinse thoroughly with lots of warm water until you’ve removed all cleaning chemicals from your hair. If you have 5-7 days to the test, repeat this procedure every day. If you only have three days, do it twice a day. Remember to use a new shower cap every time you wash your hair to avoid any contamination. Also be careful about coming into contact with things like pillows. Change the pillow cases or sleep with a new shower cap every day. This one trips people up all the time. What you need to understand is that, like any other hair washing method, the Macujo method only cleans visible hair that is above your scalp. Any new growth that follows will still have THC metabolites, if your blood levels are still high. That’s why you need to repeat the cleaning process daily until the day before the test. If you don’t do this, you can fail the test due to tainted hair growing through your scalp after your last washing. You’ll hear different opinions about the effectiveness of the Macujo method and other home remedy methods. Most labs and test clinics will tell you it doesn’t work and you are just wasting your time. But you’ll get a very different answer when you listen to people who have used it. A whole lot of people who converse about passing hair tests in social media, Reddit, forums, comments on this site and on YouTube will tell you – loudly – that it worked for them. Of course, many other factors may have contributed to their clean test. Perhaps they weren’t heavy smokers or had stopped smoking long enough that only a few metabolites were in their hair. But after talking with thousands of people on this site over the years, my opinion is that the Macujo method definitely works for many people. Macujo will not work for everybody, and it is not a guarantee that you will pass the test. But if you are looking for a home remedy with the best chances of getting your hair clean, this remains your best option in my opinion. The second-most-proven cleaning regimen I know of is the Growman/JerryG method which is even harder on your hair (it uses bleach). I hope this explanation answered all of your questions. 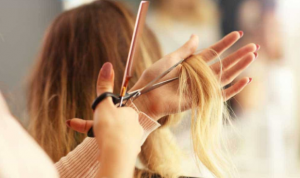 If you are a frequent user but don’t have enought time to clean up naturally before your hair test, then definitely given the Macujo a try – and good luck with your test! If you have any more questions about hair drug tests in general, read my answers to the most frequently asked questions about hair follicle drug tests. Or drop a question below.